If rugby is about one thing then it is fantastic kicks and RUCK has taken on the tough task of selecting the 10 best fly-halves of all time. The fly-half is the heartbeat and playmaker of most teams. They are therefore often the most influential player on the pitch as they coordinate the team’s performance and more often than not are the goal-kickers. Goal-kicker Naas Botha could strike the ball with both feet and was immensely talented, however, had his international career shortened by his country’s apartheid policies. Nevertheless, he managed to establish himself as one of the all-time greats of South African Rugby, winning 28 caps for the Springboks during a 12-year international career that spanned from 1980 to 1992. Did you know: Until Percy Montgomerie surpassed his total, Botha held the record for most points scored for South Africa. Puma’s legend Hugo Porta was the face of Argentinian rugby throughout the 70s and 80s and is regarded as one of the greatest fly-halves of all time. He made his international debut against neighbours Chile in October 1971 and won three further caps against Uruguay, Brazil and Paraguay that year. 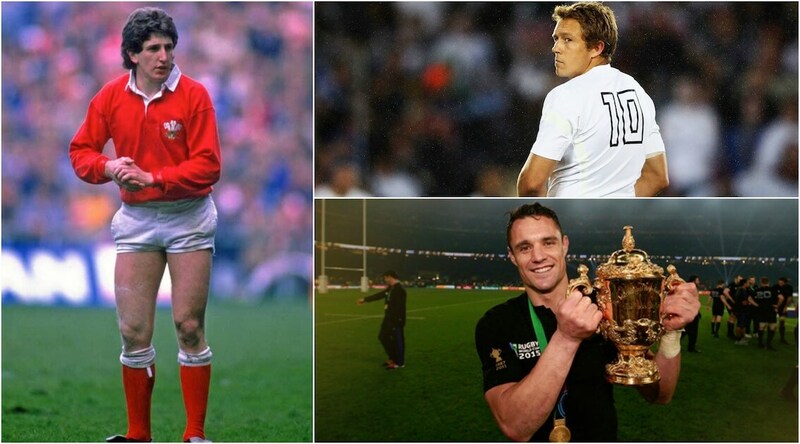 In total, he won 58 caps for the Pumas, captaining them 34 times, including during the first Rugby World Cup in 1987. Did you know: In September 2007 Will Carling, the renowned English Rugby Union captain included Porta among his list of top ten rugby players of all time. Despite not being a great player with the ball in hand the former All Black Grant Fox was one of the games greatest ever kickers in history. After impressing for Auckland, he made his Test debut in 1985 against Argentina in Buenos Aires in a 33-20 victory. It only took Fox six games to amass 100 Test match points, and two years later he won the inaugural World Cup on home soil. During the tournament, he scored 126 points from six matches finishing the tournament as the top points scorer. Did you know: In December 2011 he was named as an All Blacks selector in Steve Hansen’s new coaching set-up. Very obvious omission from this list is Ronan O’Gara. He’d have to be in the top 3 in my opinion.